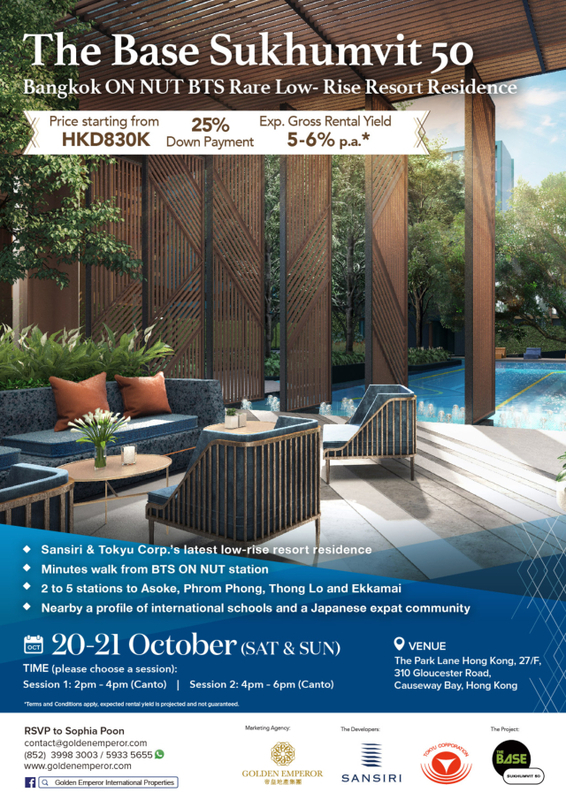 Sansiri’s Collaboration with Tokyu Corp. 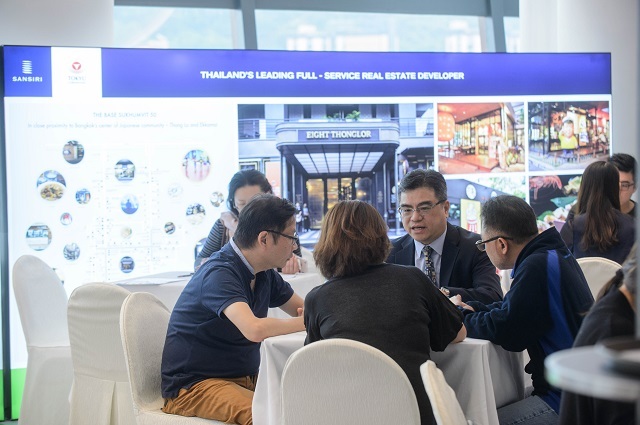 In Bangkok, Thailand, properties along BTS routes, especially those along the Sukhumvit Line nearby Siam are highly-valued and favored by investors. 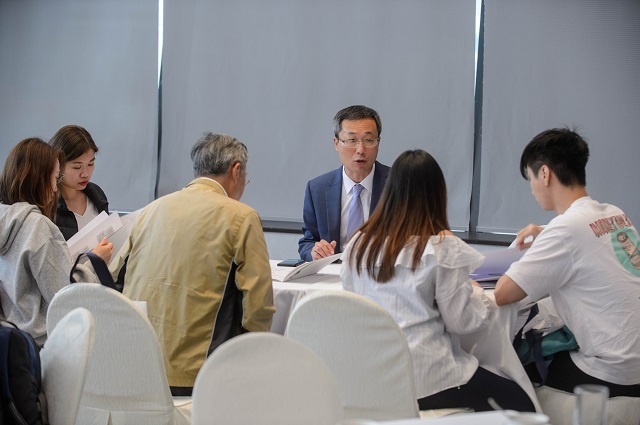 Golden Emperor Properties held a seminar over the past weekend to launch Thailand’s listed developer, Sansiri’s and Tokyu Corp.’s project, THE BASE Sukhumvit 50. 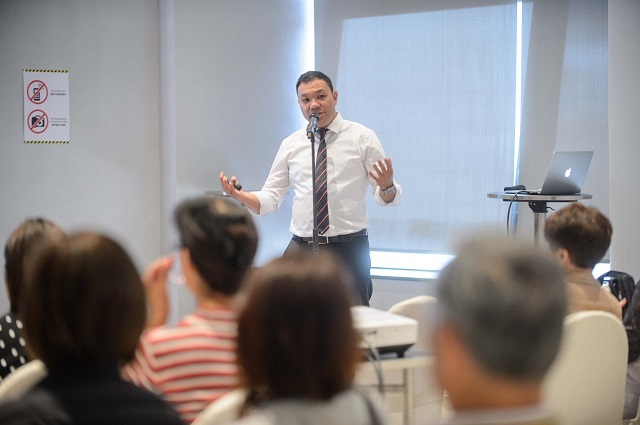 The project sits in Bangkok’s prime city center and is merely minutes from On Nut BTS station and a few stations away from key districts of Asoke, Phrom Phong, Thong Lo and Ekkamai. 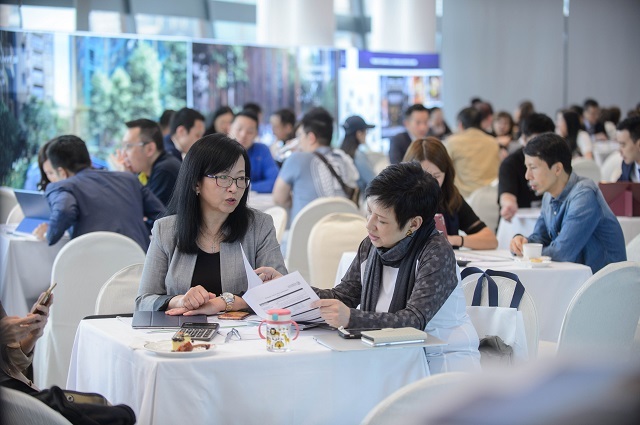 The launch attracted a number of investors to our two-day seminar and exhibition event. 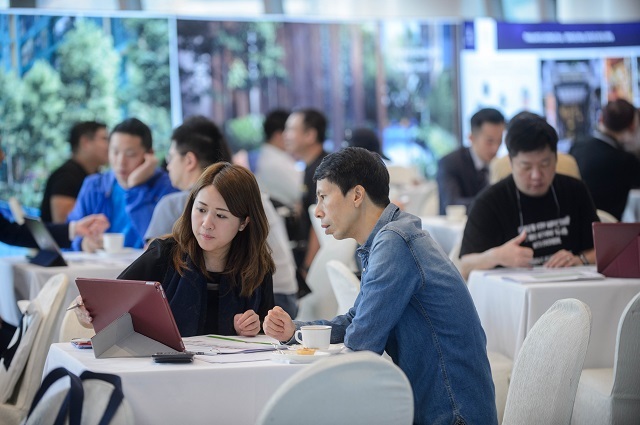 Photo Above: The seminar received wide support from investors in Hong Kong.